So how do I assess the paint and decide my process? Keeping in mind that we always want to use the least aggressive method to achieve our goal, I base my decision on the criteria below. This step is one of the most important. You should always be cognizant of your customer’s expectations and not every car has to have 100% correction with a show car finish! Not being aware can lead to unpleasant invoice surprises for the client and wasted time on your part. The polishes and pads you use should be specifically tailored to your customers needs. For instance, if your customer is only looking for a 1-step polish, and simply wants the paint to be clean and shiny, then deciding your process should be pretty easy. At the opposite end of the spectrum is a vehicle that is in pretty rough shape and a customer desiring full correction. In this situation, and many in between, you will want to determine your process based on more of the criteria listed below. Automobiles leave the production line sporting a wide variety of paint hardness. This is normal, and the ability to recognize and accommodate for the differences will become more natural as time passes and a detailer has the opportunity to work with a variety of different manufactures. When using the same pad and polish on a car with softer paint, such as you’ll typically find with Honda or Toyota, the paint is more easily corrected but can also be more difficult to finish down when compared to a vehicle with harder paint, such as an Audi or Mercedes. So if I have two cars, a Honda and an Audi, with paint in similar condition, I know that I should be able to use a less aggressive method on the Honda in order to achieve the same results. You may also find that you have to use a much more aggressive polish on harder paints just to get a noticeable amount of correction, though they tend to finish down better than that same aggressive combination would on a car with softer paint. It is also important to note that on cars which have had prior body work, those panels may respond differently to polishing than the OEM panels. Thus, some adjustments may be needed in your process to achieve the results you are looking for. While we detailers tend to have a generalization of paint hardness on specific cars, it’s important to note that this is not set in stone. In fact, you could actually have two identical cars (same make, model, year, and color) with completely different paint hardness. You also need to keep in mind that opinions vary and not everyone will agree on a particular cars paint hardness. 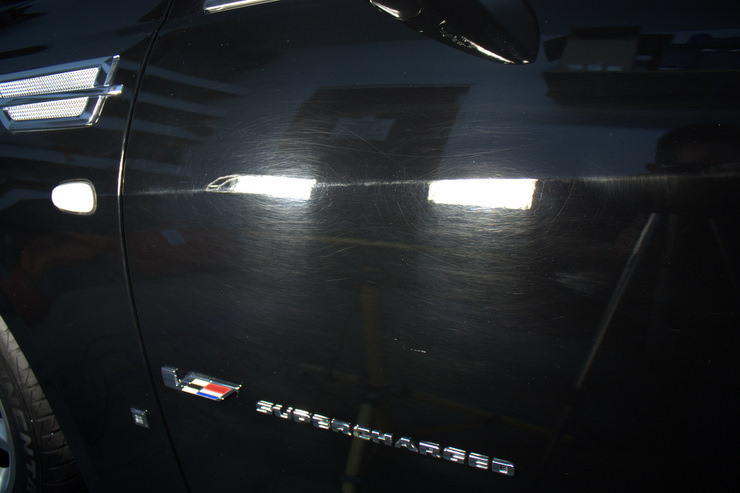 You always need to evaluate the vehicle finish when the car is clean and, if possible, stripped of any protection. This will allow you to assess the true finish. Waxes, sealants, and especially glazes can conceal some defects. This is especially important when dealing with new cars or cars that have just come out of the body shop. You will want to look for swirls, holograms, bird dropping staining/etching, water-spot etching, over spray, and Random Isolated Deep Scratches (RIDS). Try and look at the car in direct sunlight as well. If natural sunlight is not an option, then having a good light Source like the Brinkmann Dual Xenon or LED is critical in spotting defects. 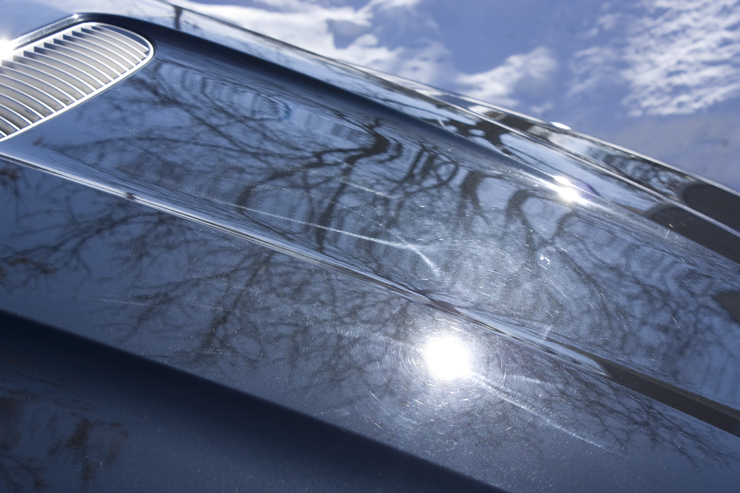 Also be sure to look over the vehicle for signs of previous correction that could cause reason for concern, such as edges that have been rubbed through. If you have a paint thickness gauge (PTG) you can also check for consistent and healthy paint readings. 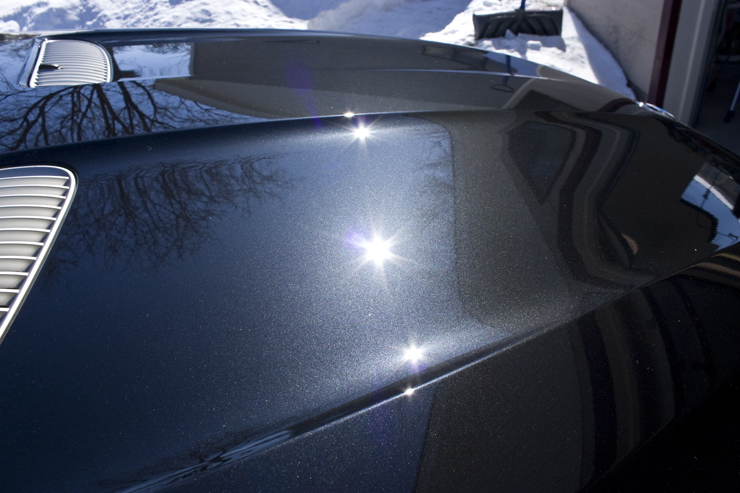 Since paint correction is all about leveling and refining the paint, it’s important to understand the differences between the various polishes and buffing pads. I like to categorize polishes and pads into 3 general categories: Compounding or cutting, polishing, and finishing. Typically, one will use a cutting pad with a compound or cutting polish, polishing pads will be used with a polish, and finishing pads will be used with a finishing polish. You can also interchange the pads and polishes to get different levels of cut and finishing, which is useful for finicky paints, but typically it’s best if they are paired up within the same category. Cutting polishes and pads: Used for severe defect removal such as heavy swirls, RIDS, oxidation, and etching. Some examples of compounds are: Meguiar’s M105, Meguiar’s MF D300 Compound, Optimum Hyper Spray Compound, Poorboy’s SSR3, and Menzerna Power Gloss. For the pairing, examples of cutting pads include Surbuf, Meguiar’s MF Cutting pads, Lake Country PFW, Lake Country yellow, Lake Country orange, and Lake Country cyan. Polish or “medium polish” and polishing pads: Used for moderate defect removal such as swirls, oxidation, and light staining/etching, or to further refine the paint after using a compound. Some examples of medium polishes are: Menzerna Super Intensive Polish, Menzerna Intensive Polish, Menzerna Power Finish, Meguiar’s M205, Poorboy’s SSR2, and Optimum Hyper Spray Polish. (Note: Some of these can also be used for finishing depending on pad used and paint type). For the pairing, examples of polishing pads include Lake Country green, Lake Country white, and Lake Country tangerine. 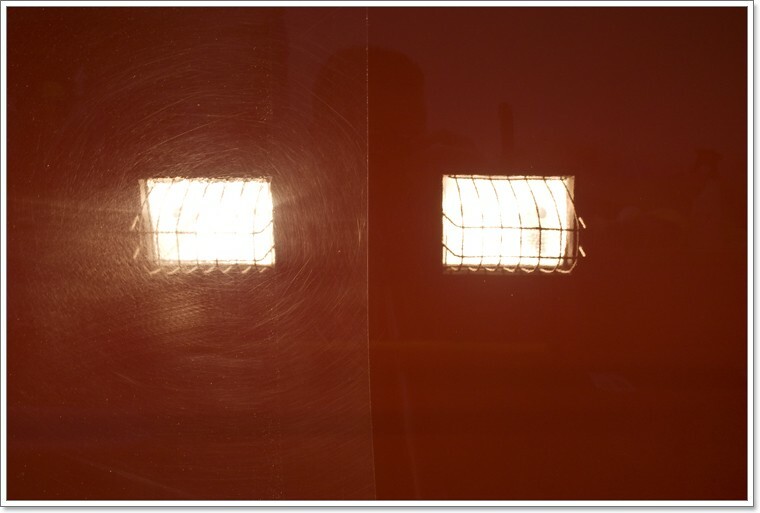 Finishing polish and finishing pads: Used for light to moderate defect removal such as shallow swirls and light oxidation or as the final step in a multi-step correction. Some examples of finishing polishes are: Meguiar’s M205, Optimum Hyper Spray Polish, Poorboy’s SSR1, Menzerna Power Finish, Menzerna 106fa, Menzerna Final Finish, and Menzerna PO85RD. For the pairing, examples of finishing pads include Lake Country black, Lake Country blue, and Lake Country crimson. Here is a picture of a Porsche Todd did a while back. This car would be considered to be in fair condition with light to moderate marring. 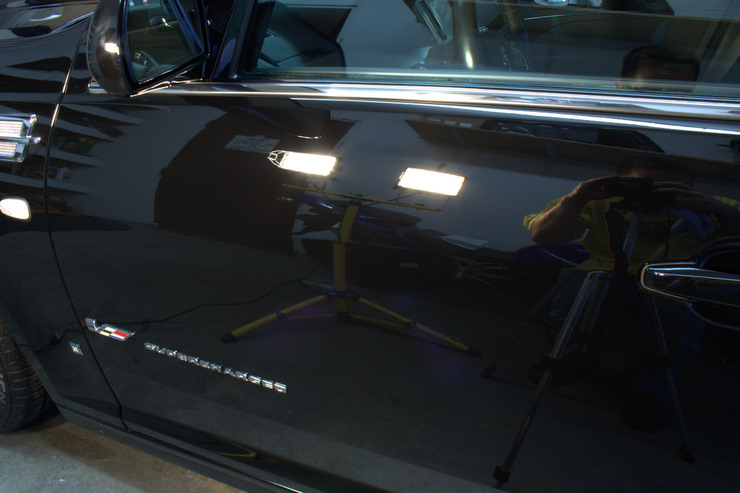 Since Porsche paint tends to be of the softer side, one can usually achieve very good correction with a 1-step correction using a light to moderate polish and polishing pad. Here is that same panel after M205 on the PCXP with a white LC pad. Here is the hood of a BMW X5 that has what I’d consider to be moderate defects. It has light to moderate marring as well as some dealer installed holograms. Full removal of defect like this will typically require 2-3 correction steps. This particular car had very hard paint so an aggressive compound was needed to remove the defects, but it also finished down very well. This resulted in only needing one more polishing to finish down perfectly. 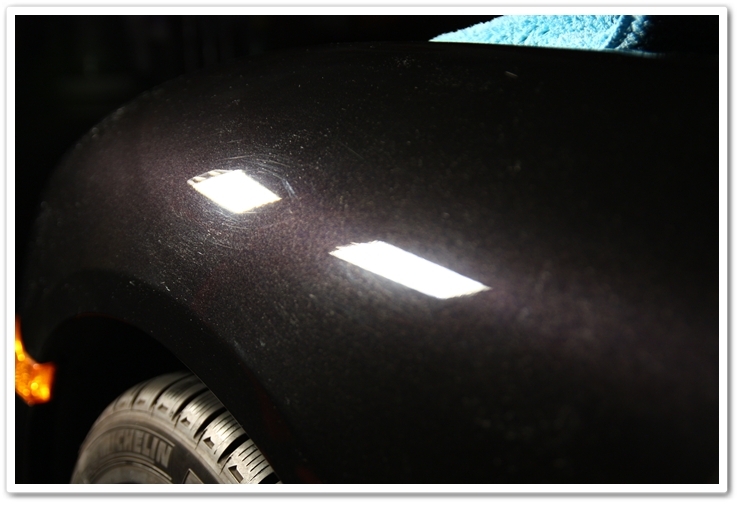 Here is an example of a highly neglected finish on a black STS-V, which some of you may recognize from an earlier article. This car shows heavy marring, holograms, and deep RIDS. 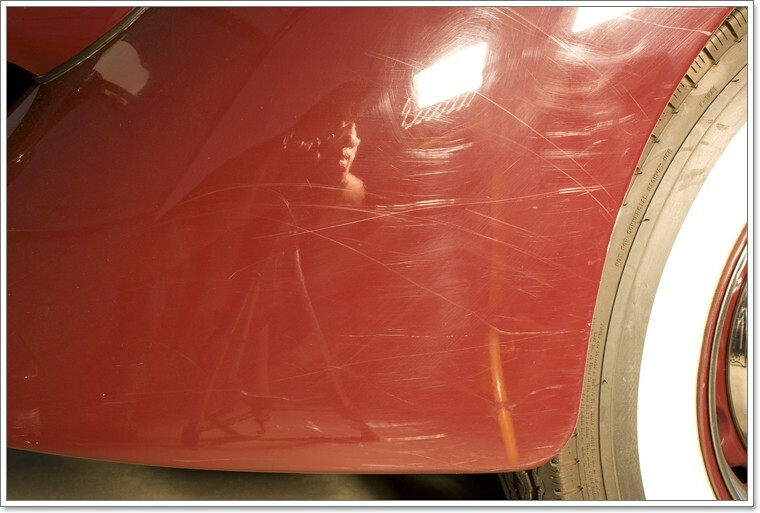 In order to bring a car in this condition back to at least 95% correction, multiple correction steps were needed. Here is another example of sever defects. The vehicle is showing heavy marring, sanding scratches, and severe RIDS, some of which were too deep to safely remove. So hopefully this article has given you a better understanding to determine your process, or at the very least given you a good understanding of where to start with on your test spot. Very nice article Chad on how we go about assessing the paint and determining the proper course of action. 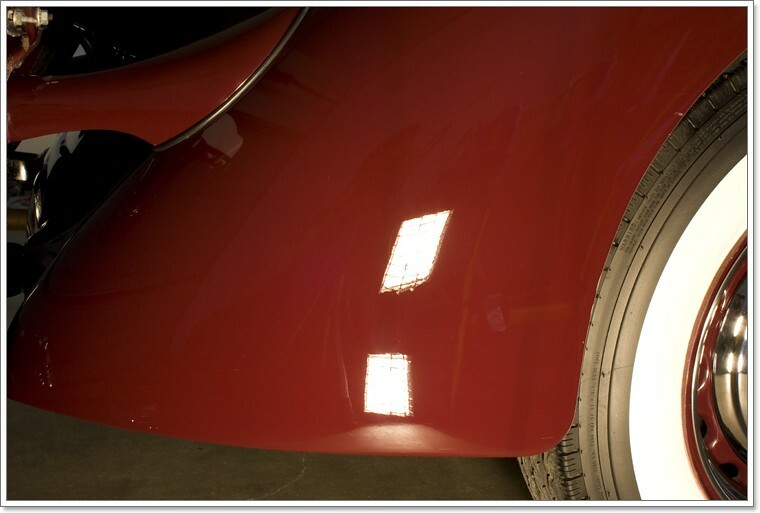 Given the amount of variables with the type / hardness of the paint, the condition, and the level of correction desired…one can quickly see why you need to have a very good working knowledge of the tools, products, and techniques available so that you can make the right choices based on what your wants and needs are. Very informative article. Thanks for posting it. Very helpful article! as a noob, I will be referencing this article quite a bit, I think I have a bit of it stored in my mind now though, which is good, it’s sticking in my brain, so I’m learning. Great article again Chad. Very informative on a subject that truly does come up time and time again on various forums with car owners that want to care for their car. Now I have the perfect link to those people! Nice article, by the way I finally got to tried the Meguiars D300 / D301 on a Toyota RAV4 (black)(moderate defects) it takes a few to get used to but the results were amazing. there was a a bit of haze after the 300 but it was easily corrected with the 301. Even thought I was working at a lower speed I finished faster (compared to other conbinations). Thanks again for sharing such a great article. Great article. Very helpful and informative. I’ve only been at this for a few months, so I’ve got a lot to learn. I just finished my first polishing practice job recently and it took me all day to complete all the steps from wash to sealant (and that was just a 1-step correction). How long does it take a Pro to do a 2 or 3 step correction job? Chad I live in MN and like to look at your Ask a Pro blogs, I am always amazed with the outcome of your work. On the BWM did you tape off the sharp edges of the hood? I recently picked up a new black raven CTS and the lines of these cars are somewhat sharp. I am maybe overly concerned\cautious about sharp edges and afraid i might removed to much clear. For example on the fender where it rolls into the lip around the wheel. I never know quite how to handle these portions of the vehicle, the lip is only about 3/4 inch wide around the wheel. This is the part I struggle with the most. I generally use the flex orbital and also a DA. Do you have any suggestions? 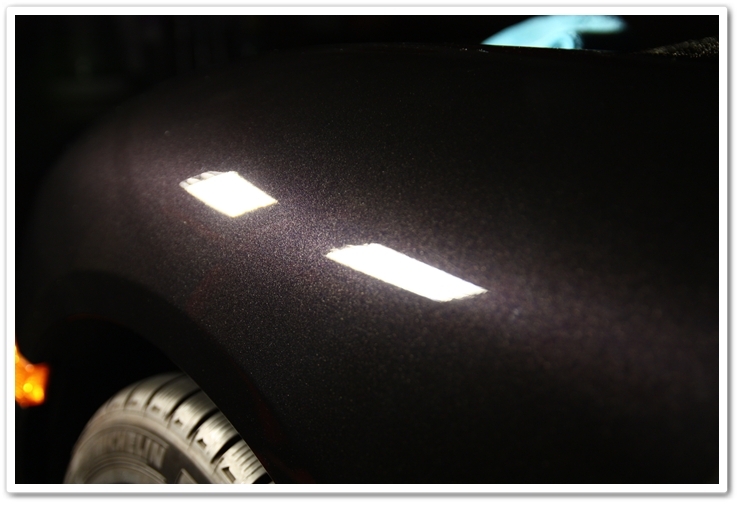 Would you mind assessing the paint hardness of an infiniti q50 sedan. Iam trying to do the correction myself with the m105 then 205 and some kind of sealant after. Trying to figure out what kind of pads i need in terms of aggressiveness. I am planning on buying the rupes 21 kit What pads and compounds should I use to correct drive thru car wash scratches on my 2013 civic ?